Students interested in combining mathematics and business coursework for an Actuarial Science degree can pursue a newly emerging career with well-paying jobs in high demand. This special discipline trains students to apply mathematical skills and statistical techniques to manage risks and solve problems in insurance and pension programs. MTSU is the only university in Tennessee that offers actuarial science coursework for both undergraduate and graduate degrees. 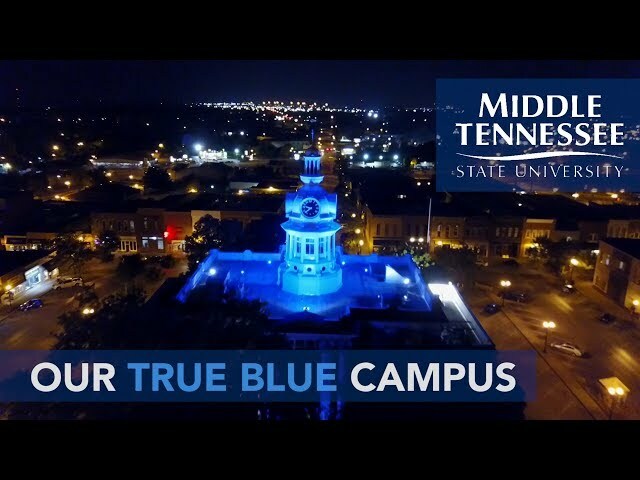 The program, founded at MTSU in 1987, now has been elevated from an undergraduate concentration to a major. Actuarial Science majors take courses in mathematics, statistics, economics, and insurance designed to help prepare for preliminary examinations from the actuarial professional societies and to succeed in the field. MTSU students also have opportunities to interact with industry professionals and to earn scholarships and internships. Rachael Padgett, a 2013 graduate of MTSU’s Actuarial Science program, is a consulting actuary at BPS&M, a Wells Fargo Company, in Brentwood. She began working as an actuarial analyst in June 2013 and in only two years earned designation as an Associate of the Society of Actuaries (ASA) member in June 2015. The Kentucky native came to MTSU with an ACT score of 34. She also played clarinet all four years at the University. “MTSU was the perfect fit for me,” she says. “I got exposure to a variety of topics—mathematics, statistics, finance, economics, accounting, computer programing, insurance—the list goes on. I passed two actuarial exams in college and passed my third shortly after graduating. I was ahead when studying for my fourth exam because I had taken a course on the material.” Undergraduate course credits also covered her required VEEs (Validation by Educational Experience). American General Life and Accident Insurance Co.
MTSU now offers the Bachelor of Science (B.S.) in Actuarial Science. Students may select courses to emphasize property and casualty, life and health, or risk management. Undergraduate minors to complement the major are available in Insurance, Statistics, Computer Science, Economics, Finance or Management. 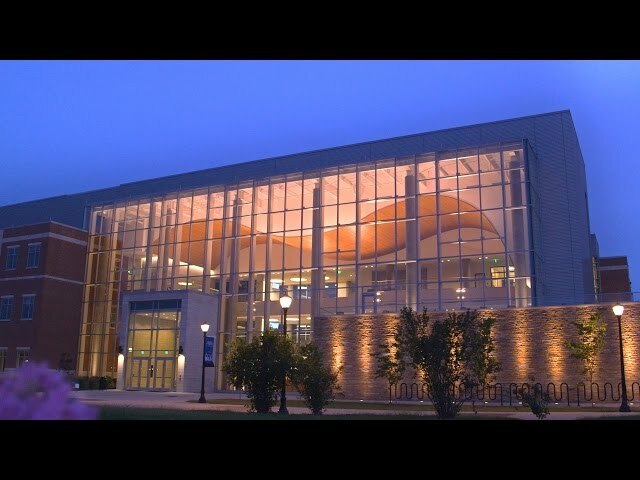 For graduate studies, there are two options for students to achieve advanced degrees associated with actuarial science at MTSU: One is from the Master of Science (M.S.) in Professional Science degree program with a concentration in Actuarial Science. The other one is graduate study for an M.S. in Mathematics, with actuarial and financial mathematics listed under the General Mathematics concentration. The Department of Mathematical Sciences also confers the B.S. in Mathematics, with concentrations available in Mathematics Education and in Professional Mathematics. Other students may pursue a minor in Mathematics; Statistics; or Mathematics for Managerial, Social, and Life Sciences. Additional graduate degree programs in the department include a Biostatistics concentration for the M.S. in Professional Science and two other concentrations for the M.S. in Mathematics (Industrial Mathematics and Research Preparation). The Actuarial Science major is designed for students who have a strong mathematical ability with an interest in applying their mathematical knowledge to insurance, finance, risk management, investments, and other areas of business. The program is classified by the Society of Actuaries (SOA) as an Advanced Undergraduate Actuarial Science program and is in complete compliance with the requirements set forth by the Society of Actuaries and the Casualty Actuarial Society (CAS) in the Year 2018 Syllabus and beyond. Therefore, the student can choose coursework necessary to prepare for all the preliminary and foundational SOA/CAS Course/Exams validation by educational experience (VEE) courses and project course in predictive analytics. Actuarial Science majors preparing for the actuarial examination series and an actuarial science career should complete this professional program in Actuarial Science. All courses in the Actuarial Science major or minor (including supporting coursework) must be completed with a grade of C (2.00) or better. All courses transferred from other institutions for credit in the Actuarial Science major or minor must carry a grade of C (2.00) or better and be approved by the department chair. The following specialized courses do not count toward an Actuarial Science major: MATH 1010, MATH 1410, MATH 1420, MATH 1530, MATH 1630, MATH 1710, MATH 1720, MATH 1730, MATH 1810, and MATH 4010. However, MATH 1630, MATH 1730, and MATH 1810 may count toward a minor in Mathematics for Managerial, Social, and Life Sciences. General Education requirements (shown in curricular listings below) include courses in Communication, History, Humanities and/or Fine Arts, Mathematics, Natural Sciences, and Social/Behavioral Sciences. Prerequisite: MATH 1920. Adjusts calculus techniques developed in the plane (Calculus I and II) to make them applicable in three-dimensional space. Introductory study of the nature of three-dimensional space and definition of the algebraic calculations in three-dimensional space. Differential and integral calculus definitions and techniques revised to appropriately transfer into this new space. Topics include multivariate functions, partial differentiation, partial integration, multiple integration, and multidisciplinary applications. Prerequisite: Two semesters of calculus. Probability theory including basic probability laws, properties of distributions, mathematical expectation, special discrete and continuous distributions, functions of random variables, and selected applications. Prerequisites: MATH 3110 and STAT 3150 or consent of instructor. Integrates calculus, probability, and risk management topics into fundamental tools for assessing risk in an actuarial environment. Calculus and probability topics include derivatives, integrals, partials, random variables, distributions, and conditional probability. Risk topics include frequency and severity. Insurance concepts such as retention, deductible, coinsurance, and risk premiums. For students in Actuarial Science, a preparatory course for a Society of Actuaries/Casualty Actuarial Society Course. (Same as MATH 4200.) Prerequisite: MATH 1920 or consent of instructor. Calculus and probability/statistics used to model and analyze investments in bonds, treasury bills, stocks, and other derivatives. Topics include obtaining the price of a bond as a function of interest rate, developing formulas for duration and convexity to study the sensitivity of price to interest rate, and mathematical modeling of investor preference and attitude toward risk. Prerequisites: ACSI 4200/MATH 4200 and ECON 2410, ECON 2420; or consent of instructor. Applies calculus and theory of interest tools to intermediate topics in microeconomics. Topics include mathematics of supply, demand, and equilibrium; prices, costs, and the gains from trade; consumer behavior; elasticities; competition; monopoly; market power, collusion, and oligopoly; the mathematics of risk and uncertainty; and surplus economics. For students in Actuarial Science, a preparatory course for a Society of Actuaries/Casualty Actuarial Society VEE (validation by educational experience) course. Prerequisite: ACSI 4200/MATH 4200 or consent of instructor. For students in Actuarial Science, offers preparation for the Society of Actuaries/Casualty Actuarial Society Exam 2. Topics include measurement of interest (including accumulated and present value factors), annuities certain, yield rates, amortization schedules, sinking funds, and bonds and related securities. Prerequisites: ACSI 4230 and STAT 4190; or consent of instructor. First of a two-semester sequence; offers preparation for a Society of Actuaries/Casualty Actuarial Society Course/Exam. Topics include survival distributions and life tables, life insurance, life annuities, and net premiums. Prerequisite: ACSI 4230 or consent of instructor. Applies calculus and theory of interest tools to intermediate topics in microeconomics and macroeconomics and topics in finance. Topics include pricing activities, the simplified Keynesian model, interest and discount rates, valuation of payment streams, yield rates, amortization, cash flows and internal rate of return, stock and bond valuation, portfolio risks, the Capital Asset Pricing Model (CAPM), efficient markets, capital structure, leverage, financial performance measurement, and basic option pricing and the Black-Scholes model. For students in Actuarial Science, a preparatory course for a Society of Actuaries/Casualty Actuarial Society Course. Prerequisite: ACSI 4330. Second of a two-semester sequence; offers preparation for a Society of Actuaries/Casualty Actuarial Society Course/Exam. Topics chosen from net premium reserves, multiple life functions, multiple decrement models, valuation theory and pension plans, and insurance models (including expenses and nonforfeiture benefits and dividends). Prerequisite: ACSI 4200/MATH 4200. For students in Actuarial Science, offers preparation for a Society of Actuaries/Casualty Actuarial Society VEE (validation by educational experience) Course. Topics include mathematical modeling of volatility; pricing of bonds, stocks, and other derivatives with uncertainty; benchmark portfolios; asset/liability management for property/casualty insurers; liability associated with a financially distressed company. Heath-Jarrow-Morton and Cox-Ingersoll-Ross models. Prerequisites: ACSI 4630 and ACSI 4200/MATH 4200. For students in Actuarial Science, offers preparation for a Society of Actuaries/Casualty Actuarial Society Course. Topics include risk management using options, interest rate swaps, interest rate caps, Black-Scholes analysis, Taylor series expansion to obtain hedge parameters, portfolio insurance, numerical procedures, interest rate derivatives, and use of Black's model. Prerequisite: STAT 4190. Topics include application of regression models in forecasting and exponential smoothing methods to forecast nonseasonal time-series, seasonal series, and globally constant seasonal models; stochastic time series models; and forecast evaluation. Prerequisite: MATH 1730 with a grade of C or better or Math ACT of 26 or better or Calculus placement test score of 73 or better. The first of a two-semester sequence using a high-level language; language constructs and simple data structures such as arrays and strings. Emphasis on problem solving using the language and principles of structured software development. Three lecture hours and two laboratory hour. As an aid to understanding modern economic society: economic concepts of consumer and firm behavior; the pricing of goods, services, and productive factors; international topics; and an overview of the American economy. Prerequisite: Admission into the College of Business. An introductory study of the risk management process and the importance of insurance as a method of handling risk; insurance carriers; regulation of the insurance industry; home and auto insurance; life and health insurance; workers compensation and employee benefits. Open only to Mathematics majors; normally taken during last regular semester of coursework. Required of all Mathematics majors. Offers graduating Mathematics majors a broad perspective of mathematics, mathematical activity, and problem solving in various areas of application; offers preparation for professional examinations; acquaints students with job possibilities and aids in career decisions; acquaints students with the nature of graduate study in mathematics. Pass/Fail. Prerequisite: STAT 3150 or equivalent. Theory of statistical inference. Topics include sampling distributions, decision theory, estimation, test of hypothesis, regression analysis, analysis of variance, and selected applications. Prerequisites: Two semesters of calculus and STAT 3150 (or MATH 2050) or consent of instructor. Theoretical basis for stochastic processes and their use as models of real-world phenomena. Topics include Markov chains, Poisson processes, Brownian motion and stationary processes. Applications include Gambler's Ruin, birth and death models, hitting times, stock option pricing, and the Black-Scholes model. Students with a major in Actuarial Science may substitute STAT 3150 for MATH 2010 and MATH 2050; and ACSI 4200 for MATH 3460. Students should consult their advisors each semester to plan their schedules. As an aid to understanding modern economic society: economic concepts of national income and its fluctuations, inflation, unemployment, role of the banking system, monetary and fiscal policies, and international topics. for current students majoring in Mathematics. awards for new and transfer students available directly from the University or through the MTSU Foundation. check here to procure financial aid. many of our students receive guidance and scholarships from the Martin Chair. this insurance fraternity is a great support organization; students can also obtain scholarships from GIS. actuarial organization makes yearly awards. a scholarship program designed to increase minority presence in actuarial science. this organization offers scholarships of up to $4,000 to students majoring in insurance or risk management. from the well-known actuarial placement firm for actuarial students with one exam. a public service website for college financial aid. For individuals preparing for the Society of Actuaries (SOA)/ Casualty Actuarial Society (CAS) actuarial examinations. All common examinations (SOA/CAS ExamsP/1, FM/2, MFE/3F, MLC/3L, C/4) and three VEE courses are supported. Certain courses are offered in late afternoons or evenings to support industry personnel. Tommy Axford, FSA, MAAA, vice president and consulting actuary, Aon Hewitt, Franklin, Tenn.
Lori Michelle Bradley, MAAA, ACAS, CERA, consulting actuary, SIGMA Actuarial Consulting Group, Brentwood, Tenn.
Mandy Lee Bratten, MAAA, EA, FSA, consulting actuary, Bryan Pendleton Swats & McAllister LLC, Brentwood, Tenn.
Richard Waggoner, MAAA, FSA, Aetna Senior Supplemental Insurance, Franklin, Tenn.